Welcome to our first issue of Infrastructure View, our new publication celebrating the expanding and very exciting UK infrastructure sector. The government’s latest National Infrastructure and Construction pipeline shows over £600bn of investment over the next 10 years, with nearly 700 projects planned. These will enhance the nation’s transport, energy, water and communications networks, and help to solve the escalating housing crisis, which is affecting so much of the UK population. The shift towards electric vehicles is gaining traction in the UK, yet, in reality, an underdeveloped charging network is holding us back. We look into a new government-backed competition that is set to reverse this, by challenging industry to find creative designs and technologies to spearhead a new generation of low-cost, scalable charging solutions. Last summer, the UK government set out an ambitious plan to radically update and electrify the nation’s road vehicle fleet. The goal of the so-called ‘Road to Zero Strategy’ is for at least 50% of new car sales and 40% of new vans to be powered by ultra-low emission engines by 2030. As we saw in September, when Theresa May announced a £106m fund for research and development into green vehicles and battery technology, it’s usually the cars that steal the headlines. However, for the strategy to succeed, investment in the charging network is crucial. This is why we also saw the government’s Office for Low Emission Vehicles (OLEV) step forward with the launch of a £400m Charging Infrastructure Investment Fund to accelerate the roll-out of charging infrastructure. Along with other measures to increase availability of charging points, the Electric Vehicle Homecharge Scheme also gives electric vehicle owners £500 towards the cost of installing home charge points. The inability of some electric vehicle (EV) owners and users, particularly in cities, to charge their vehicles at home or on the road is a major reason that EVs still only make up around 2% of UK sales. Better planning, accessibility and integration of the plug-in network is needed to boost the nation’s ability to charge their vehicles if we are to accelerate the transition. Hence the strategy’s inclusion of a new £40m programme to help develop and trial innovative, low cost wireless and on-street charging technology with two competitions launched by Innovate UK and OLEV. These, the government hopes, will kick-start the sustainable development of a much needed recharging network. The two competitions, each with £20m of research funding on offer, have different goals. The first is focused on the consumer market and seeks commercially sustainable ideas to increase the number of EV recharging points in public spaces. By making these charging points available, the expectation is that private car owners without off-street parking will be more able to switch from petrol or diesel to an EV. But EV charging points shouldn’t only be installed in public areas, says Charles Hardcastle, head of Energy at Carter Jonas. “Businesses should be actively seeking to future-proof their property to secure the patronage of EV owning customers, whether they provide workspace, retail, leisure or visitor attractions”. The second competition is aimed at the commercial electric vehicle market and, again, is looking to accelerate the switch to electric power for vehicles such as taxis and small delivery vans with wireless charging systems that can be used on the go. “If you are a business user that relies on the current fixed charging infrastructure then recharging is a problem that can cause business disruption,” says Landi – a taxi or delivery driver having to stop for 40 minutes in an eight hour shift has a major impact on productivity. “Development of wireless charging will make it much easier to charge throughout the working day,” he adds, explaining that the competition is seeking innovative technology-based ideas that will, for example, enable taxis to recharge while queuing at ranks or delivery vans to recharge while loading. Both competitions are split into two phases, starting in January with initial three-month feasibility studies for which successful teams are offered grants worth between £75,000 and £120,000. Sixteen consortia have been shortlisted in this first phase for the public spaces EV charging competition and another nine for the wireless EV charging competition. Based on the outcome of these feasibility studies, the teams will then be invited to apply to take part in the 18 month demonstrator phase, starting in September 2019, for which the bulk of the £20m grant is divvied up. By the end of February 2021, all of the phase 2 demonstrator projects should be complete and should have identified and developed new business cases and approaches to accelerate investment in EV charging and so kick-start more widespread production and adoption of EVs. “We’ve already acted on behalf of both our landowner clients and energy developers to identify and develop sites for large scale charging stations, and this demand can only grow,” continues Hardcastle. Landi adds that there are, in fact, a high number of charge points available across the UK compared to the number of EVs on the road. The problem is that many are in places that people don’t want to go, while others are overbooked. Bids for the phase 1 feasibility studies are currently being assessed by panels of cross discipline experts and, following ministerial approval, winning teams will be announced in October. The vast High Speed 2 project is set to spearhead a wave of vital new economy-driving development opportunities across the nation as the new railway opens between 2026 and 2033. Carter Jonas speaks to HS2 Commercial Development Director Tom Venner, who is responsible for bringing these opportunities to life. With the exception perhaps of the project name, everything about the High Speed 2 (HS2) project is focused on maximising the economic growth potential across the UK from this unprecedented £56bn multi-decade public investment to transform the UK’s rail network. So, headlines and debate continue to focus on the route, the design, and the engineering challenge of building a 555km high speed rail network – the first new main line north of London constructed in over a century – but the real prize for the nation is the local and regional transformation that this new infrastructure enables. “We have a very clear mandate, which is to make the most out of the opportunities that HS2 presents,” explains Tom Venner, HS2 Commercial Development Director. He highlights the well-used project strap line which defines HS2 a catalyst for growth across Britain; as such, he adds, every piece of land, regardless of size, has value. The mammoth HS2 project will link the UK’s major metropolitan areas together with a new high-speed track, carrying trains at up 360km/hr. Phase 1 will see a new line constructed from Euston to Birmingham, opened by 2026, Phase 2a will link up to Crewe by 2027, and the final phase, 2b, extends the network to Manchester and Leeds, with services starting in 2033. HS2 services will also continue to existing stations such as Liverpool and Newcastle, improving journeys to eight out of ten of the UK’s largest cities. The result of this £56bn investment is that the government will become major land owners as it constructs new stations and depots; this presents massive development opportunities. Venner has been with the HS2 project for two years and, prior to that, spent his career in the private sector – most recently with Land Securities, delivering projects across London and strategic developments in the South East. As such, he is first to point out that life as a major public sector client, defining projects rather than delivering them, brings a raft of new challenges. But they are challenges that Venner is absolutely up for. Not least as this project gives him the chance to set up and spearhead a unique property company with an unprecedented 20m sq ft pipeline of development opportunity across the UK. “I still believe that I’m a developer, and to be a developer you have to be doing not talking,” he says. The scale and diversity of the opportunities created by this huge public infrastructure investment, he says, makes it a very exciting place to be and, with strong cross-party political backing, there is a clear agenda to get things done. The political decision to invest in better public transport, of course, adds commercial value to the land around the new infrastructure, as does the connectivity that HS2 provides between cities. However, the challenge for Venner’s team is to not only use that uplift in value to provide an economic return to the public purse but also to maximise the development benefits of the arrival of the new railway for local communities. It is fair to say that, despite th3 overwhelming House of Commons support for the project when Phase 1 gained Royal Assent in 2017, not everyone in the UK was totally behind the scheme. As with all public infrastructure projects, the pressure is on to deliver to budget and to programme, and to demonstrate progress. Although, so far, only Phase 1 of the project has planning permission, Venner’s work is project-wide, from Leeds to London and everything in between. That means ensuring that every planned station and depot has its development proposal in place – whether it is residential, industrial or office-led – and that this is designed to create the greatest development return possible for the public purse. Although HS2 is only allowed to acquire land that is essential for the construction and operation of the railway, Venner’s team must have a development plan for the land purchased but also for the land and opportunities around. The so-called ‘red line’ area defines the land along the route that is acquired for the purposes of building the railway or land which the state already owns. However, a wider ‘blue line’ area sets out the project’s areas of influence, in which the team works with local authorities and other stakeholders to identify development potential and to understand what HS2 has to do to effectively unlock those opportunities. The bigger prize is this macro level ‘blue line’ economic development and growth. However, to enable this, the project has to collaborate with partners to make best use of land and assets within the red line. Bringing these stakeholders together is a huge part of the role, not least because building a railway can be a hugely disruptive process. For Venner, that means first acknowledging this disruption, then listening intently to local views, before finally working hard to ensure that all HS2’s stations and assets give something back to the community. One of Venner’s first tasks when arriving at the project was to sort out the development proposition at Euston, which, with 54 acres of land in government ownership, presents one of London’s biggest transformation opportunities. His challenge was to turn an existing fragmented plan into an investment opportunity that the private sector could get behind. After the Secretary of State ‘knocked heads together’, as Venner puts it, it became clear that close cooperation between HS2 and Network Rail – the two major land owners – would deliver a better outcome for both. A new joint proposition went to the market a year ago and Lendlease is now on board as the development partner, bringing expertise and capital to the project. Compared to Euston, most of the other projects are much less complex. But few are simple given the scale of ambition and number of stakeholders. Big prizes on the horizon for Phase 1 include the huge Old Oak Common area just outside London and the Curzon Street station site in Birmingham. Looking further ahead, Manchester has some 3-4 million sq ft of prime development available around Piccadilly and the arrival of HS2 in Leeds unlocks the south bank area, underpinning the aspiration to more than double the size of the city. As a proportion of the existing city size, the opportunities in the North are actually greater than those in London. So with such a scale of ambition and investment, what could possibly go wrong!? Well, as a developer, the market conditions are never far from Venner’s mind – not least with Brexit and global trade wars impacting investor confidence. The promoter of this prize draw is Carter Jonas LLP, One Chapel Place, London W1G 0BG. The prize draw is open to anyone who completes the Carter Jonas Infrastructure View 2019 survey [“the survey”]. Partners and employees of Carter Jonas LLP are not eligible. Only one entry per person will be valid. To enter the prize draw, respondents need to complete the survey. Entrants confirm, by completing the survey, that they have permission of the organisation they are working on behalf of to enter the prize draw. There will be one winner and one prize. The prize is a DJI drone. There is no cash alternative. Carter Jonas LLP reserves the right to amend the prize or the rules of the prize draw if necessary. The prize draw closes at 11.59 on 30th June 2019. 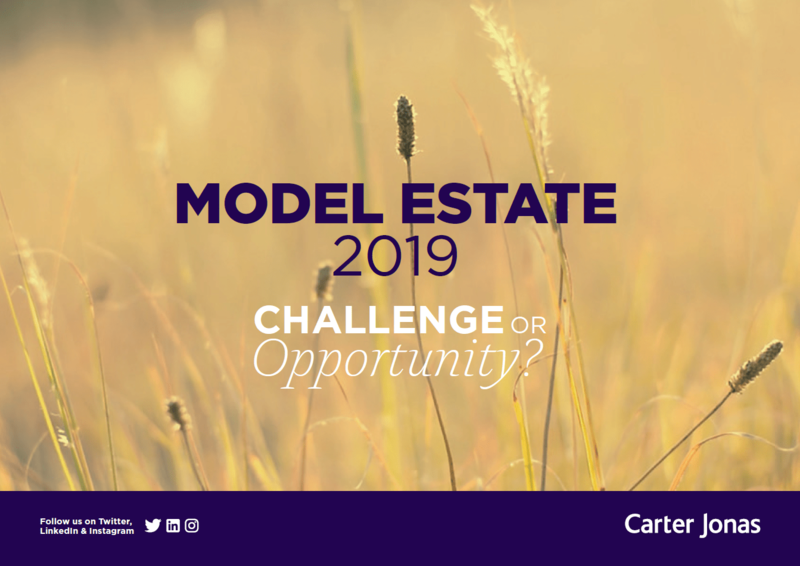 The winner will be drawn on 1st July 2019 by a member of staff at Carter Jonas LLP. An independent website will be used to randomly generate a winner from the list of eligible entrants. The winner will be notified on 2nd July 2019, using the email address provided in the survey. If the winner has not provided a valid email address, or does not claim the prize within 30 days of being notified, Carter Jonas LLP will use the same independent website to randomly generate a new winner. The winner will receive the prize within 30 days of being notified. In the event that this is not possible, they will be informed. Carter Jonas LLP does not accept responsibility for incomplete entries or entries not received. If any tax or duty is payable due to the prize, the winner is responsible for paying this. If a dispute arises, the decision of Carter Jonas LLP is final.